If necessary, the City Council may convene into Executive Session under Chapter 551 of the Texas Government Code regarding any item on this agenda. Items on the Consent Agenda are approved by a single action of the Council, with such approval applicable to all items appearing on the Consent Agenda. A Council Member may request any item to be removed from the Consent Agenda and considered as a separate item. Approve minutes from the meetings on September 10, 2018, September 1 1, 2018 and September 17, 2018. Receive August monthly financial report. Receive demolition and code enforcement activity reports. Approve a Resolution designating Paris News as the Official Newspaper for the City of Paris. Approve the Final Plat of Lot 1, Block A, The Hamilton Oaks Apartments Addition, and a Subdivision Improvement Agreement with Clancy Investments Texas, LLC. Conduct a public hearing, discuss and act on the petition of John Bell for a change in zoning from an Office District (O) to a General Retail District (GR), in the Baker Addition, Block B, Lot 1, being located at 2300 Clarksville Street. Conduct a public hearing, discuss and act on the petition of Cosmopolitan Beauty LLC for a change in zoning from a General Retail District (GR) to a General Retail District (GR) with a Specific Use Permit (SUP) for Permanent Make-Up Micro-blading Tattoo Salon, in the City of Paris, Block 3 15, Lot 6, being located at 3703 Lamar Avenue. Discuss and act on an Ordinance authorizing the issuance of a solid waste collection permit to Bradley Pennington d/b/a County Trash Service LLC. Discuss and act on budget amendments to Paris Economic Development’s Budget FY 2017-2018. Discuss and possibly act on a Resolution approving and authorizing a Master Economic Development Agreement between the City of Paris, Texas, Paris Economic Development Corporation and American SpiralWeld Pipe Company, LLC. 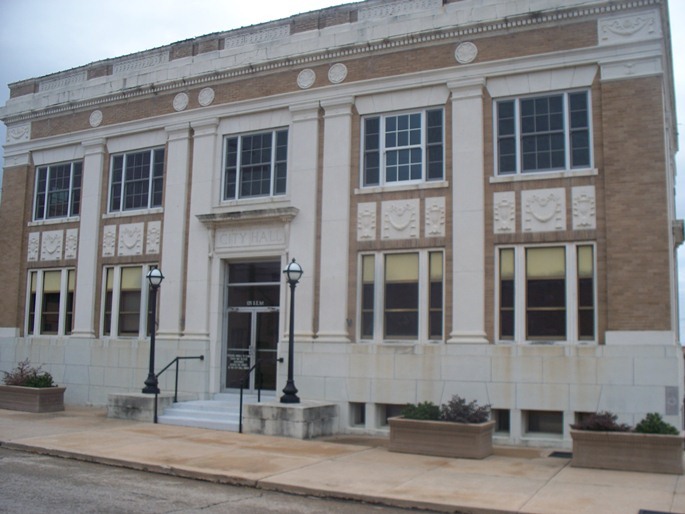 Discuss and act on a Resolution approving and authorizing a Tax Abatement Agreement between the City of Paris, Texas and American SpiralWeld Pipe Company, LLC. Discuss and act on the Paris Economic Development Corporation’s purchase of property on South Loop 286 for a New Business Park. Consider and approve future events for City Council and/or City Staff pursuant to Resolution No. 2004-081.